discreet way to alert loved ones and even 911 during an emergency. Allows invisaWear to connect to a smartphone within 30 feet. 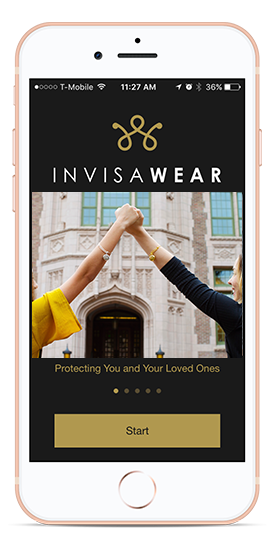 With a modular component incorporated into various styles of jewelry, invisaWear will not tip off an attacker. A quick double press (within 3 seconds) is required to activate an alert so users don’t have to worry about accidentally pressing it. Easy Cancellation – False alarm? No worries, the app allows users to easily cancel an alert to let the emergency contacts know it was canceled. invisaWear jewelry is lightweight and plated in either 14K gold or rhodium. Size – The custom designed charms are compact and have less than a 1-inch diameter (about the size of a quarter). 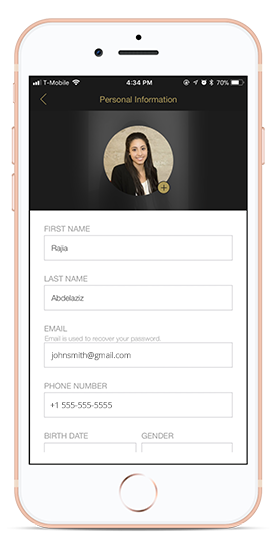 Working in partnership with RapidSOS, invisaWear eliminates third-party call centers and connects your emergency contacts directly to 911 local dispatchers to share your precise location, with no subscription necessary! Users don’t have to worry about charging yet another device. The coin cell battery will last for one year and users can replace their component for a discounted price of $65 per unit. 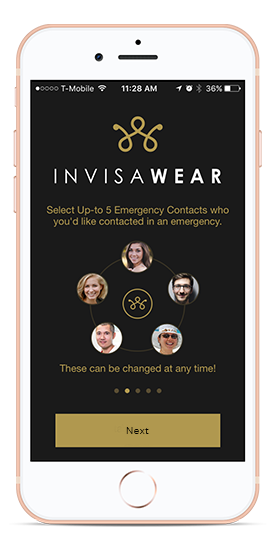 your 5 personal contacts will be immediately alerted after double clicking your invisaWear charm via text message with your GPS location & S.O.S alert. Why pay for a a service that uses a 24/7 call center?